Mayville’s Eco Car team has been to Portsmouth University to get some top tips on how to make their Eco Car a better faster machine. Portsmouth University’s “Formula Student” team builds its own racing car to take part in Europe’s biggest Motorsport events. Engineering students throughout the university take part in the project. Mayville students had a wonderful time looking at the facilities and looked at way they could improve Mayville’s Eco Car. It was a chance for Mums and Grandmothers to come into L1 boys and girls classes to celebrate Mother’s Day at Mayville. There were drinks and biscuits and a chance to do crafts. The real test was for pupils to look at pictures of all of the mums as children and see if they could match them to who they are today. It was a wonderful day. Mayville's Head of Science Mrs Jones led pupils as they took part in the Great Big School Clean #GBS . Following on from the success of last year’s national event pupils were called on to stand together with others from around the country declaring a war against litter. Pupils analysed the litter looking especially for crisp packets and all data was submitted so a national survey can be published. Waste Week continues this week where the battle against waste, particularly plastic continues. What a fantastic PHSE Day, with self defence classes from Krav Maga Elite Portsmouth, Drug and Alcohol Awareness talks and sessions on Fake News. There were also workshops on homophobic, sexist and racist bullying with Shonagh Dillon from the charity “Aurora New Dawn.” Pupils asked lots of questions and really got involved. The importance of having a voice is the theme of Mayville’s PHSE Day. On a visit to Mayville, Portsmouth South MP Stephen Morgan was open, funny and honest opening the floor to questions. “Are You fed up with Brexit?” He answered “Yes If I’m honest, most people want to talk about other things.” “Do you find being in Parliament intimidating?” He said that it could be intimidating. He added “The Speaker is quite a character he can shut you down and tease you a bit.” He also said “I had to learn very quickly.” When asked what the biggest political crisis was he answered, “Climate Change.” Does he support student strikes as a call to action? Yes he does. He also mentioned Mayville supporting the Eco Bricks Project, and listened as he was told how Mayville is an Eco School and how today thanks to our Eco Warrior Head of Science Kate Jones, the school took part in the Great Big School Clean and how as a school we are working hard to reduce the use of plastic. Well done everyone for asking such brilliant questions. As an Eco School Mayville will be taking part in the Great Big School Clean #GBS led by Head of Science Mrs Jones on March 22nd. Following on from the success of last year’s national event pupils are being called upon to stand together with others from around the country declaring a war against litter. Pupils will be analysing the litter looking especially for crisp packets and all data will be submitted so a national survey can be published. 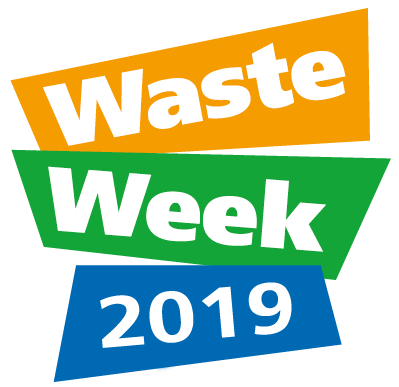 Waste Week will continue on Monday 25th March continuing until Friday 29th where the battle against waste particularly plastics waste at Mayville will continue. Amazing Space! Constellations, planets and aliens were just some of the wonderful costumes that pupils from Pre Prep and our Junior school arrived in for school. Many thanks to parents and pupils for all your hard work. You never fail to amaze! Mayville's Junior entry for the ISA drama competition, at Tring Park School of Performing Arts. They look incredible for their performance of the Wizard of Oz. 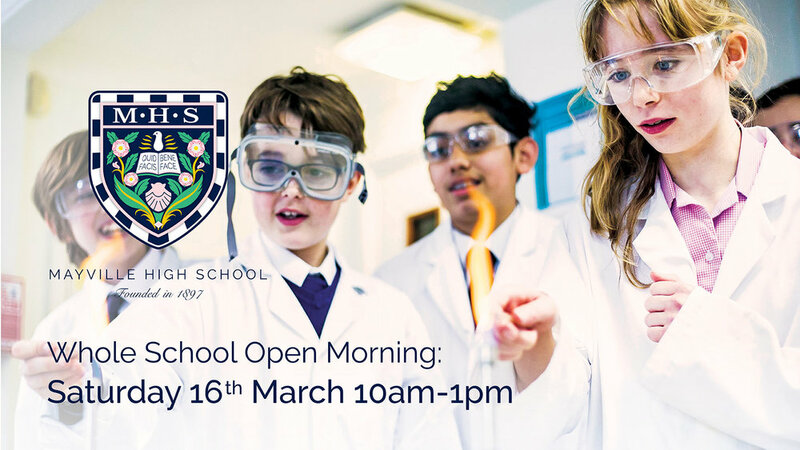 Mayville's Open Morning. CSI Investigation, seeing how Mayville pupils cook and camp on the Duke of Edinburgh Award scheme, learning how to save lives with St John's Ambulance, checking out our Eco Car and finding out all about our very unique school. Mayville's "Be a CSI Investigator Open Morning." Who stole the Mayville Bears? Children Analysed hair samples, and finger prints to get them back. Ginny Makes History. First Girl to Wears trouser in 122 years! History was made at the Whole School Open Morning! Ginny is the first girl in 122 years to wear trousers to school. She has chosen the option of trousers with the new white shirt. 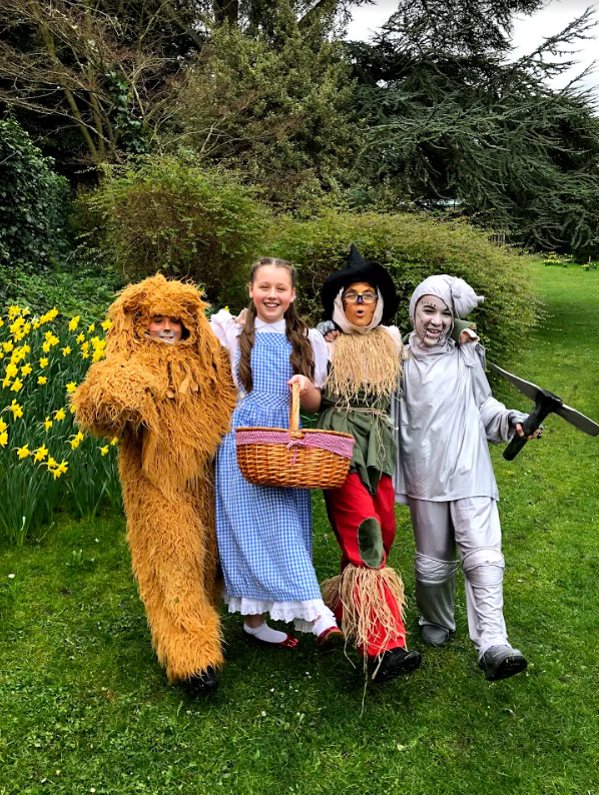 Mayville's entries for the ISA drama competition, at Tring Park School of Performing Arts. Both Juniors and Seniors did extremely well. Results to be announced shortly. Who stole the Mayville Bears? Help solve the crime at Mayville’s CSI Investigator Morning using techniques like fingerprint analysis, and checking hair samples. Children even get the chance to win a Mayville Bear. It's an Open Morning of Discovery. Come along and see what we do! Mayville welcomed back ex-pupils Jessica Nickerson and Parinaz Orchard today, who gave an informative talk to Upper V pupils about ‘Life after Mayville’. 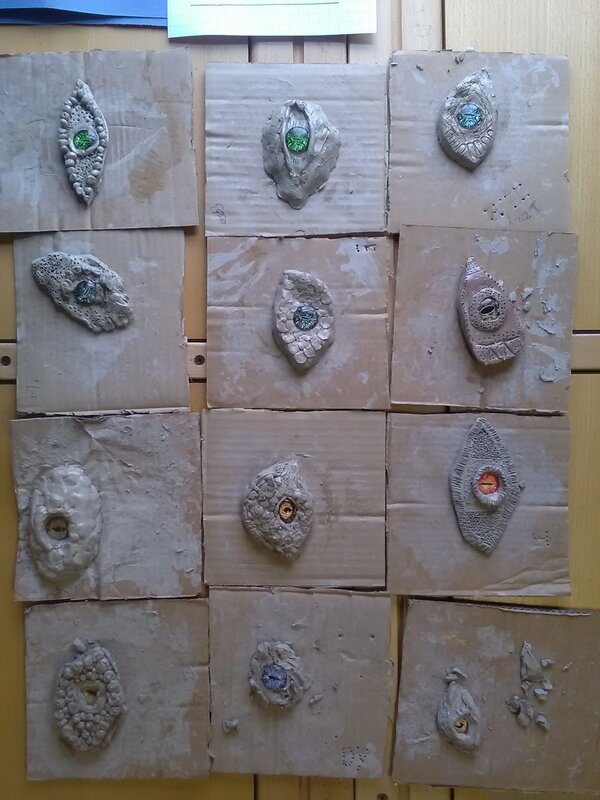 Beautiful dragon eye sculptures made in clay by L3 in Art lessons. Who stole the Mayville Bears? Help solve the crime at Mayville’s CSI Investigator Morning using techniques like fingerprint analysis, checking hair samples under the microscope and flame testing chromatography. It’s an Open Morning of Discovery. 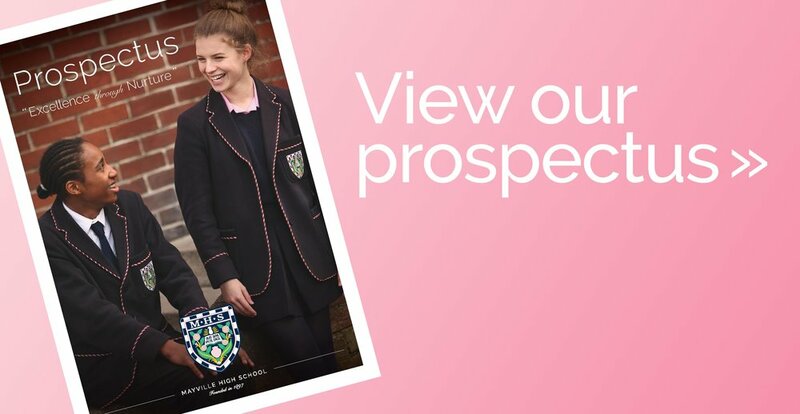 Why not come along and see what we do? Mayville’s Zara who is in Remove has been hugely successful in the world of TV in the past 10 months. She has been in Britannia Series 2, Foreign skies, Turn up Charlie, Catastrophe, Home and Well Street. 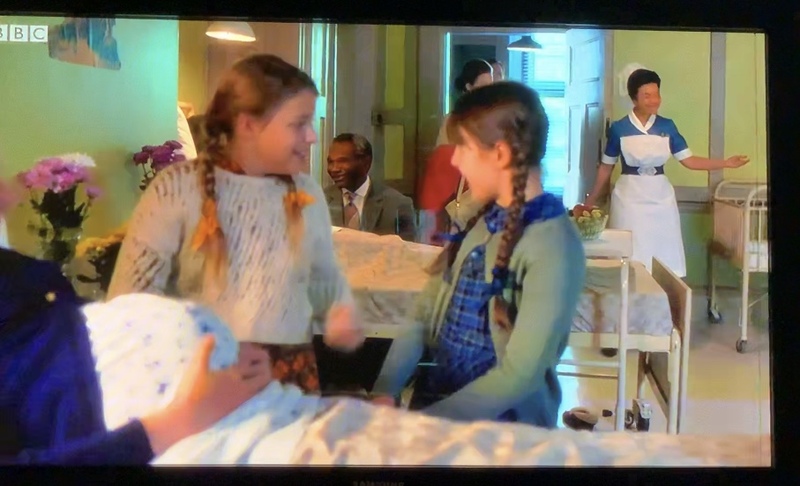 Here she is appearing in Call The Midwife series 8, Episode 6. What an incredible achievement. LV used the VR headsets to 'go to' Rio de Janeiro, as part of an introduction to the city. They have just started learning about megacities in Geography and really enjoyed the chance to look around the city! International Women's Day 2019 #BalanceforBetter. What better way to celebrate than a look back at these images of Mayville's Rock Challenge "Synergy of the Sexes." Mr Booker and a group of his LV History pupils attended a talk at the University of Portsmouth. Ruth Barnett, a Holocaust survivor gave an inspiring and illuminating talk about surviving life as a child of the Kindertransport.